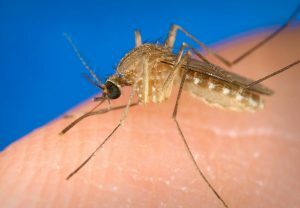 As many of you know, the World Health Organization has declared the rapid spread of the Zika virus an international public health emergency. In response to this, Consumer Reports has released – free to the public – its test results and ratings of mosquito repellents, including those that protect you against Aedes mosquitoes, which carry Zika. Zika can make individuals sick for up to a week with rash, fever, joint pain, red eyes and other symptoms. The largest threat is to pregnant women because it increases the risk that the unborn baby will develop microcephaly, an abnormally small head and incomplete brain development. Sawyer Picaridin and Natrapel 8 Hour -each contains 20% picaridin and Off! Deepwoods VIII -which contains 25% deet. -Studies show these products kept the mosquitoes from biting for roughly 8 hours. Sawyer’s was the top insect repellant as it also kept Culex mosquitoes (they spread West Nile), and deer ticks (spread Lyme disease) away for at least 8 hours. Repel Lemon Eucalyptus– This product has 30% lemon eucalyptus and kept Aedes mosquitoes at bay for 7 hours. Products that are not recommended- Products including the chemicals IR3535 and 2-undecanone, those containing 7% DEET or less than 20% picaridin. Products not included in this study – Most natural plant oil based brands such as California Baby Natural Bug Blend and EcoSmart Organic as they either failed immediately or did not last 1 hour. Additional information- The CDC recommends using EPA-registered insect repellants only, as their ingredients are tested and regulated by the EPA. To know if a product is registered by the EPA, look for its registration number on the back of the label. Spraying your yard for mosquitoes was also recommended, but it was advised to do your research on service providers. Adcock Pest Services is a trusted locally-owned company that provides mosquito control services.